Does Germany even have bogans? In spite of how our ever-endearing poltical leaders ceaselessly remind us that we are Doing it Tough, Australians actually got wealthier this year. Prices definitely did go up a bit, but what tends to be forgotten is that our incomes grew even faster. Net effect: more money in the average pocket. We’re not Doing it Tough, we’re one of the richest nations on earth. We suffer a totally different condition: consumerism, possibly best referred to as Believing Adverts and Buying Too Much Expensive Stuff. Classic examples of this plague on our fine nation include expensive iPhones and broadband, electricity-guzzling plasma screens and… premium beer. This review is for Working Families that feel that they are Doing it Tough. Also, anyone a bit curious about how beer that comes at $30 a carton tastes. The simple answer is: surprisingly good, when it’s a proper German bier. I have no idea how beer from Frankfurt is cheaper than beer from Milton, but that doesn’t mean it tastes cheaper. 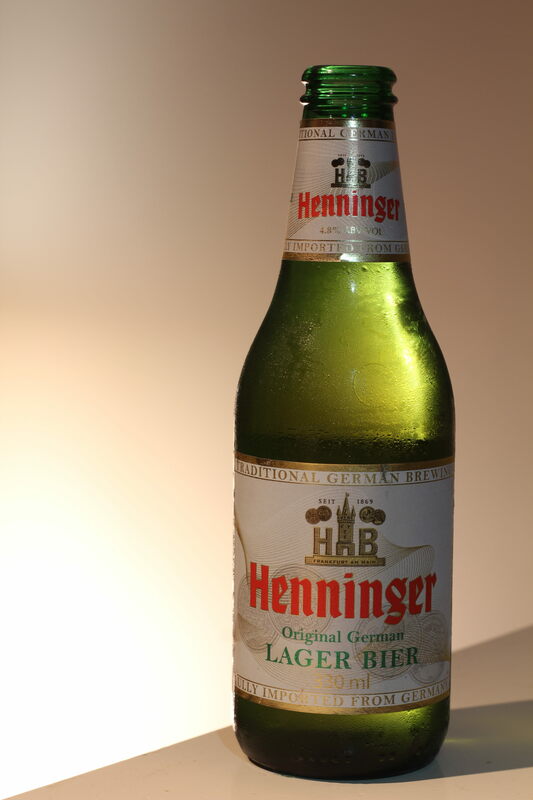 Henninger Lager is definitely not up to the standard of our smaller domestic producers (like Matilda Bay or Little Creatures, with ales around $60 per carton) but compares well with the standard local lagers (around $40/carton on a good day). If anything, I’d say the closest comparison is stuff like Heineken and Becks – though it’s slightly sweeter than both. Henninger comes onto the palate quite sweet and malty (with a good bit of carbonation) and leaves with a gentle hop bitterness that, although not particularly complex, is pleasant. It’s not quite as nice as Becks on the finish nor as subtle as Heineken in the first mouthful, but it fits the bill very well for a basic lager: easy drinking and satisfying, provided you keep it cold. This is a beer that makes you feel a bit full, so I’m not sure if I’d enjoy drinking 8 of these, but I daresay the hangover would be relatively mild given that Henninger follows the Reinheitsgebot (German purity law) which stipulates that the beer must have three ingredients: water, malt and hops. I wonder if the ol’ Vois Bois (VB) offers that kind of nurturing care? My suggestion? Reach into your pocket, grab all the shrapnel you have and go try some. Also: Bob Does it Tough twice as hard as you ever could. Caarnt. This entry was posted on June 9, 2011 by Philistine. It was filed under Uncategorized and was tagged with Beer Review, Budget, Hobo juice, Political offensiveness, Pre-drinks, Recommended, Shrug. I never read this one! It’s very good. 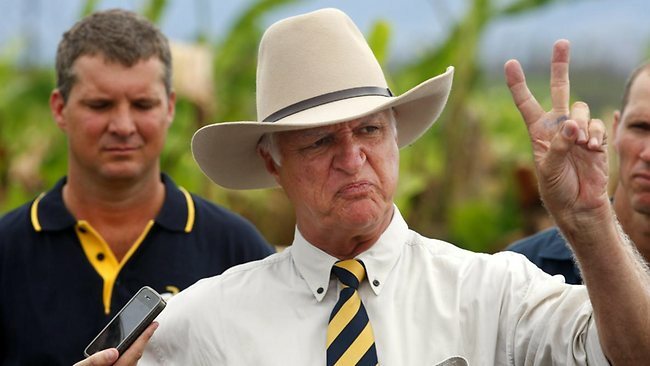 And how the hell do Aussie’s have anything “tough”? Wow. And the beer there sounds pricy! We get our cartons for about $20 equivalent.